Discover the best payroll services that can help you dodge common payroll mistakes. Small payroll mistakes can lead to major headaches—fines, penalties, and hectic year-ends. 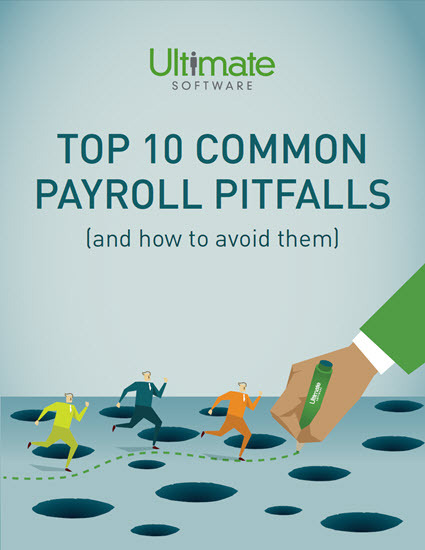 Most payroll pitfalls are preventable. Discover how the right solutions for payroll can help you avoid these costly mistakes. A truly comprehensive payroll solution will be tied with other services to make your job more efficient, and keep all data in one place. Plus, it will give you across-the-board business intelligence and instant reporting for quick analysis and decision-making. Knock out time-consuming error correction and compliance risks. Learn the most common payroll mistakes, and how to use best-in-class payroll services to side-step these blunders. Please fill out the brief information to access your payroll solutions guide.